If you’re looking for online teen jobs and aren’t old enough to take a minimum wage job at your local fast food chain, then read on. Here you’ll find a complete list of online jobs for teens and they’re totally legit, scouts honor. Now given most jobs will require you to get paid, you might have to get your parents to set up a PayPal account for you as a check in the mail is a little old skool now. And when you get a PayPal account setup, you’ll be good to go. Then again, most of the good online teen jobs have some sort of referral link, so you’ll probably want to create that SnapChat vid anyway just to share your referral link with your friends to make money faster. Better still go 1-for-1 with your friends and swap referral links so it’s a win-win and you won’t seem like a total scammer. Taking it one step further you can organize mini meetups where you all compete to see who can make fast money in an hour. It could be fun! Unfortunately, not all websites allow everyone to join in on the fun and might have a minimum age requirement so I’m going to break it down into a few age groups. Obviously, if you are older you can do them all. Have fun job hunting. Branded Surveys – This survey website will give you points that you can redeem for cash even if you don’t qualify for surveys. You can even earn rewards doing polls. Bank Roll Bucks – Earn money daily completing tasks like visiting websites, taking surveys, playing games and more. Get paid with PayPal, by check or gift cards. Cha Ching! Gift Hulk – Earn cash rewards to watch videos, play games, complete simple searches, complete surveys and more. And get paid with Paypal or redeem gift cards when you are ready to cash out. ScreenWise Trends Panel – Help improve The Internet by signing up to ScreenWise Trends then get paid out with Paypal or redeem gift cards. As a member of the Screenwise Trends Panel, you’ll be asked to install a browser extension and free mobile app on your eligible computer, smartphone and tablet. Just for signing up you can earn up to $6 in bonus rewards. In addition, you can continue earning up to $3 every week when you browse the Internet on all your registered device(s). InstaGC – Instantly earn gift cards, earn fast money listening to music, watching videos, completing various tasks and more! Cash out starts from just $1! Then you get paid in an instant with gift cards. Play 2 Shop – Play games, earn points, get free stuff and earn cash back to get free gift cards, rewards and prizes. There even have prizes for tournament play if you think you are the best at playing games. CashCrate – One of the easiest ways to make money online completing surveys, visiting websites, completing simple tasks and more. The more surveys you complete the more money you’ll make per survey. Plus Cash Crate have an awesome referral program. Treasure Trooper – Get paid to listen to the radio, play games including the treasure hunt which pays $100 for finding the lost Mambiko Tribe Statue, watch videos and more. This website also hase a Multi-level referral program where you earn from friends of friends. Survey Savvy – Legit online survey company that sends you a check in the mail for your opinions. Plus from time to time they run special promotions and contests. Currently, earn $60 for enabling digital tracking on your internet connected devices. Paid ViewPoint – Take very short polls and earn cash for your opinions. Pays via PayPal after your balance reaches $13 in your account. PanelPolls – Get points that you can redeem for cash or gift cards by watching commercials, new TV shows, test mobile apps, taking surveys and so much more! Nobody likes long surveys, so why not take short polls instead. Mindfield Online – What’s on your mind? Work from home, earning extra cash to complete interesting opinion surveys. Earn real money and say what’s on your mind. Valued Opinions – Do paid online surveys and get rewarded for your efforts. If you don;t qualify for surveys, you can still have your say in the online polls or participate in new product testing and development. Cashout is at $20 and by gift card redemption. 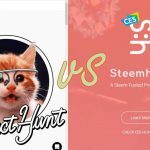 AppBounty – Get paid to play. Earn giftcards for just downloading free apps to your phone. It’s that easy. Ipsos – Provides online jobs for teens working from home. Opportunities exist for people around the whole world interviewing and conducting market research. If you like talking on the phone any learning new things then this real online job might be right for you. Hourly rate from $8. Opinion Square – Legit survey panel that will pay you for your opinions. Rewards are redeemed with gift cards. Perk – This mobile rewards platform rewards you for searching the Internet, watching videos and much more! Most mobile phones supported. Reward TV – Answer TV trivia questions about what you watched on TV the day before and get points for knowing your programs. Play Trivia for cash and prizes! Humanatic – Hires teens to work from home sorting phone messages into categories. You will need a PayPal account in order to get paid and you can get paid weekly. Work as little or often as you like, choosing your own working hours and schedule. Global Test Market – Earn rewards for taking legit paid surveys and get paid in gift cards including Amazon and PayPal. Just complete your sign-up survey and get started. Ibotta – This mobile app gives you cashback every time you shop at over a hundred of popular stores. Then you submit your receipt and claim your rebate. Also, the referral program is quite neat, in that you get $5 for a qualified referral and your friend gets $10 so it’s a win-win. Get signed up with Ibotta today! Ebates – this isn’t a traditional job but rather a cashback site, where your earn money for making online purchases. However they have a neat referral program which is really easy money. At the time of writing, it was $25 per qualified referral WTF because normally it’s just $5. It’s worth spending time sharing this link with your friends. PostLoop – Post on various forums and get paid to chat and start discussions on virtual communities. Pays daily via PayPal. Feature Points -This site will give you cash for just trying free apps on your mobile phone! You can also get a free iPad, Starbucks, Amazon and iTunes gift cards plus much more. Forum Wheel – This site is similar to Postloop where you earn cash to post on various forums. You will need to submit 10 sample posts first in the Gateway forum first so they can check out your writing skills. No payout payment threshold. Payment is via Paypal. Blurb – Sell your book, photo books, magazines or ebooks with Blurb on Amazon and Apple through Blurb. It’s a great alternative to traditional publishing. Free Eats – Get paid cash to receive text messages. Pays you $1 just to sign up via PayPal. Pays very fast! Fiverr – One of the easiest gig on Fiverr is to view YouTube videos and get paid $5. Also, you can sell random gigs that you will complete for others online for just $5. Fiverr does charge a 20% commission and a PayPal account required. Music Xray – Get paid $0.10 to listen to new music from new and upcoming artists for just 30 seconds and it’s delivered straight to your inbox. Pay is via PayPal after you have earned $20! Watch the Video to get started with Music Xray. SliceThePie – Discover and influence the latest music trends. Listen to music and write a short review on what you just heard. You will earn up to $0.20 per review. Pays twice weekly via PayPal. SwagBucks – This popular paid to click website pays teens to play games, search the Internet, take surveys, watch videos and so much more! It’s a great way for teens to make money. Cash4Books – Sell your old books and get paid. Better still buy books from fete’s and car boot sales for next to nothing and trade them in online for real cash. Cash4books even pays for the shipping. Mylikes – Like it, share it and earn money sharing sponsored advertisements to your followers on social media. Start earning extra money online today! The Vault – Sell your crazy videos to this company any earn up to $400 per video. Think funniest home videos meets the Internet. So it’s time to spread your wings and get real about earning money online as you’ve reached the age where anything goes. Take a good look around this website and get a feel for what’s really possible online. If working a traditional job isn’t for you then never fear making money online isn’t hard as some people might think. If working a traditional job isn’t for you then never fear making money online isn’t hard as some people might think. You’ll still need to trade your time for money but that’s how it’s always been. Although, now you can leverage the Internet to make money faster. Now you know how to make money from home, learn the best ways to make money online. Thanks for hanging in there and reading right through to the end. As a special bonus, I’ll share my number one best ways for teens to make money online. 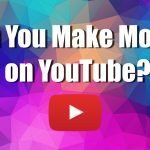 YouTube – Yes, YouTube is the platform you should be on, producing great content on a regular basis and building your own channel. And with a bit of hard work and a smidgeon of luck you should be able to make enough money to avoid having to get a real job. Take a look at this intro video to see your Future in YouTube and what you can make as a YouTuber. Double Bonus: If getting in front of a camera isn’t your thing, then you can take the blogging route which is just as lucrative and will enable you to generate an income for years to come. But you need to start your blog the right way, so you don’t waste your time and get nothing for your effort. Here’s my guide on starting a blog and making money. You won’t be disappointed. Maybe it’s not a job you are looking for but rather a way to earn extra money online. Well just take a look at this website and you’ll find hundreds of opportunities to consider. maybe one is just right for you. Making money online has never been easier and you can find ways to make money is just about anything you love. The naysayers will plant seeds of doubt in your mind because ultimately they are afraid to make the leap themselves. Take a look at people who love video games, walk-throughs have never been so popular and people are making serious money online, I’m looking at you PewDiePie. But even if you’re an artist you can design in-game products for games like Second Life, while still enjoying playing the game. Check out my Second Life Review for more info. The possibilities are endless, and you just need to earn your first dollar, and then go big and scale the heck out of that opportunity. 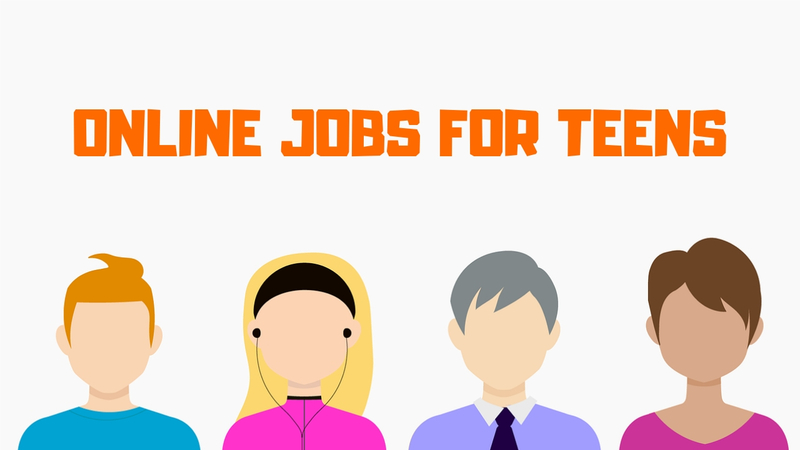 Good Luck, Play Safe and share these Legit Online Jobs for Teens with your friends. Payments are usually via gift card, PayPal or in some cases by check and almost all have a minimum payout amount. As the minimum age for a PayPal account is 18, your teens may need assistance in getting their hard earned money out. Teaching the values of money from an early age will set your teens up for a successful life, and the tough grind of earning money online will help them to appreciate what they already have. Encouraging your children to look for the best-paying jobs for teens, as this will give them a purpose, a sense of independence and hopefully they’ll be a little more productive with their time. Online jobs for teens is the new Lemonade Stand so avoid being the parent that won’t allow your kids to earn money online. And despite what you hear in the news, 99% of the Internet isn’t such a bad place to hang out. These are legit online jobs and as long as you’ve taught your kids good values in life, they’ll know when to avoid a Scam, perhaps even better than you.